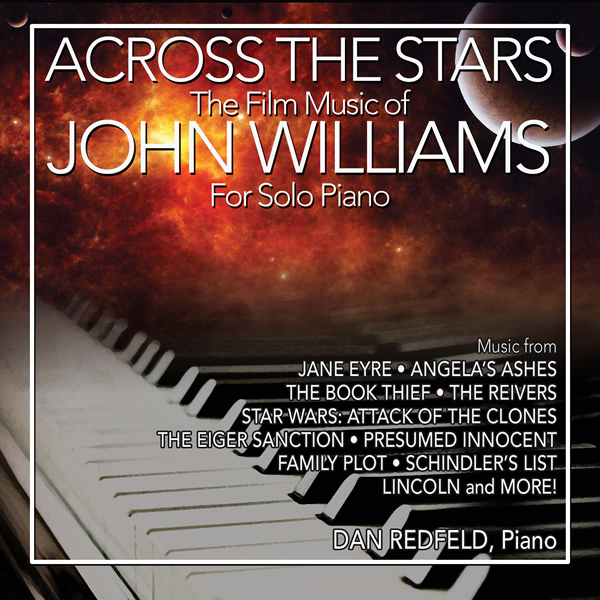 Los Angeles-based composer Dan Redfeld announces the recent release of Across the Stars: The Music of John Williams For Solo Piano from BSX Records. American composer, conductor, orchestrator, pianist and producer Dan Redfeld has had his music and arrangements performed internationally from the concert hall to the musical theatre stage to the recording studio. He received his training at Boston’s New England Conservatory before transferring to the University of California, Los Angeles (UCLA) where he graduated with a degree in composition with an emphasis in conducting. Instructors include composers William Thomas McKinley, Irwin Kostal, and David Raksin, and conductors Jon Robertson, Sir Simon Rattle, Zubin Mehta, and Roger Norrington. Later this year his debut classical recording A Hopeful Place will be released by Navona Records. In May 2015, Mr. Redfeld’s Arioso for Oboe, Percussion and Strings premiered with the Santa Barbara Symphony under the direction of Maestro Nir Kabaretti and oboe soloist Lara Wickes. January 15, 1947 - An Impromptu for Solo Harp, Mr. Redfeld’s latest opus, was commissioned and premiered by harpist Alison Bjorkedal. The piece took Third Place in the American Harp Society Los Angeles Chapter Composition Competition and was recorded in 2014 for a release in 2016. His Fantasy for Violin & Piano was written for and premiered by violinist Elizabeth Hedman and pianist Robert Thies in 2009. Mr. Redfeld’s Travels for Piano Quartet was premiered in June of 2011 by Central4. In 2013, he and Central4 were featured at the Festival Internacional Bravissimo in Guatemala City. 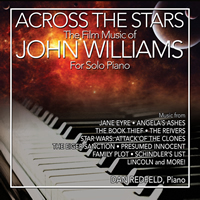 Travels received its international premiere to great acclaim along with Les Miserables Fantasy, a new 12-minute suite arranged for piano sextet by Mr. Redfeld based on material from the hit musical. Additional concert works include A Heart’s Journey for Piano & Orchestra, Fanfare & Theme for Orchestra, Dance Sketches, Vineyards for octet, Serenade for Piano Trio and the celebratory string quartet, Jubilation Fanfare. Among Redfeld’s twenty-five film scores are the AFI-produced Clinic E and film noir Moustache, which garnered him several awards. He has also composed music for more than twenty silent classic films and in 2013, participated in a five-city West Coast tour for the Library of Congress premiering his work for the restored Mary Pickford classics, Sparrows and Dorothy Vernon of Haddon Hall. Visit him at www.danredfeld.com.